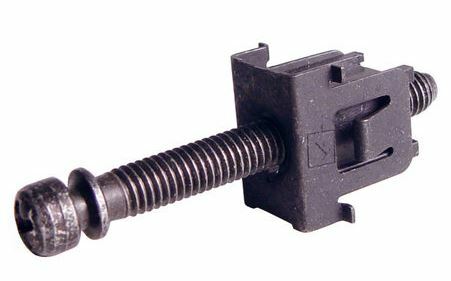 This is the headlight adjusting screw for the 1980 - 86 Ford trucks, and is part # E1TZ 13032-A. Dennis Carpenter has them, and the Dorman 42186, available many places including Amazon, appears to be the correct item. The screw is a 10-32 thread.